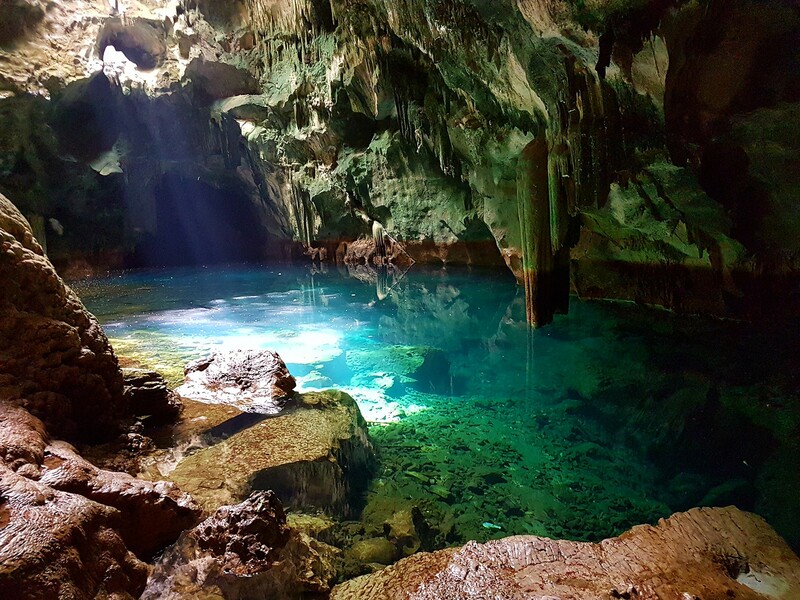 Take an offshore adventure and descend 100 feet underground to discover this extraordinary cave system filled with stalactites and stalagmites and a crystal clear salt water pool at its base that shimmers like glass. Assemble at the Island Owners Property Association (Island Homes) Marina. 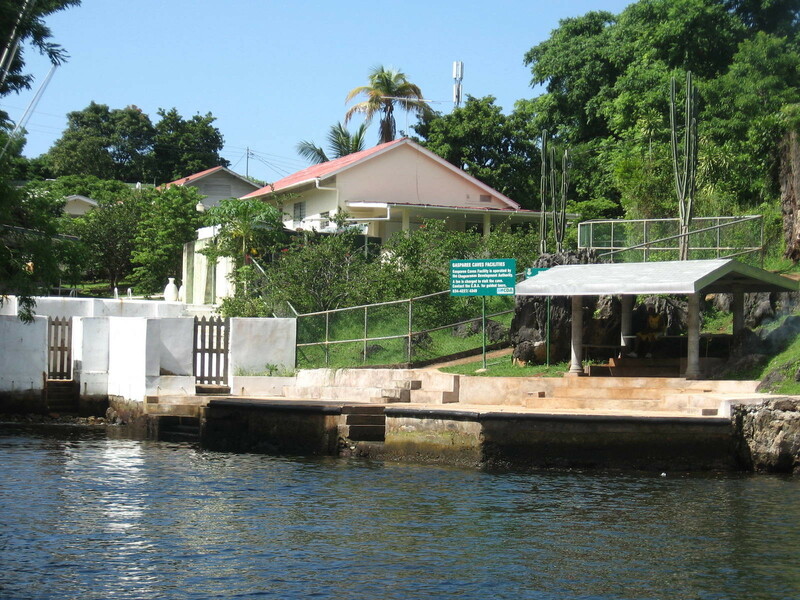 At this marina you board a water taxi to Gaspar Grande Island. 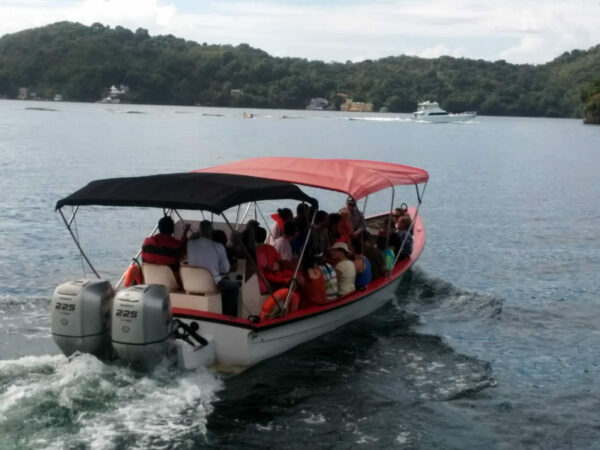 On this short but pleasant boat ride, be sure to look out for the dolphins that love to swim alongside the boat. As well, you may catch glimpses of Venezuela in the distance if the weather is clear. Boat Ride On this short but pleasant boat ride, be sure to look out for the dolphins that love to swim alongside the boat. 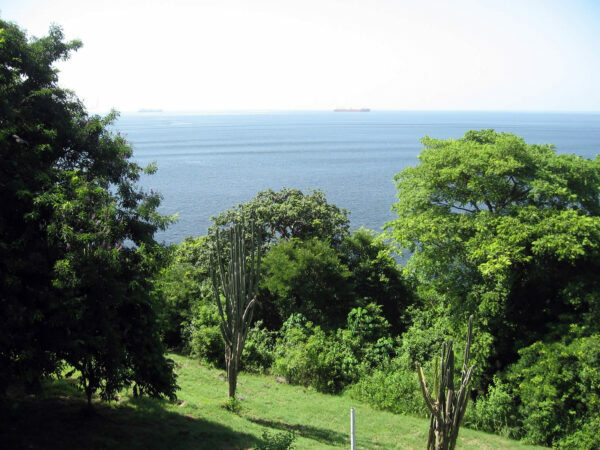 As well, you may catch glimpses of Venezuela in the distance if the weather is clear. 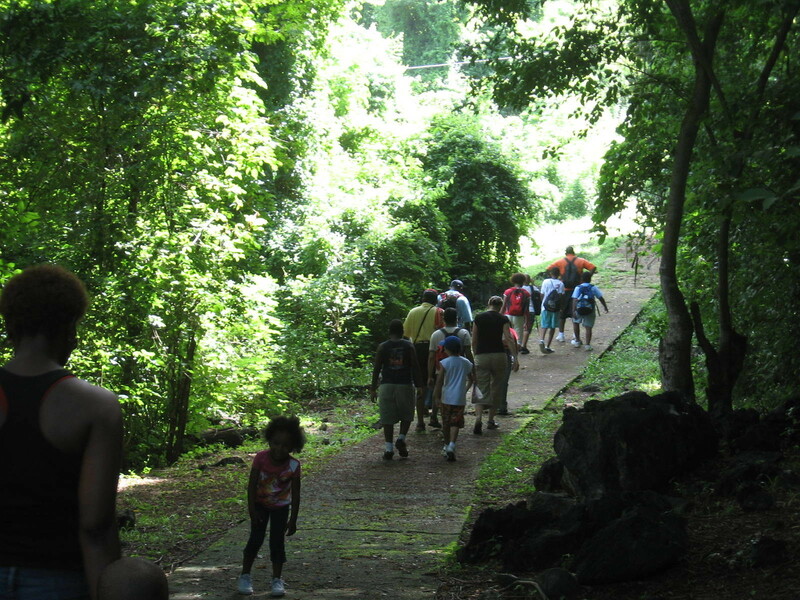 On arriving at Gaspar Grande, you start an easy uphill hike that will take about 25 minutes. It is fairly steep so pace yourself. 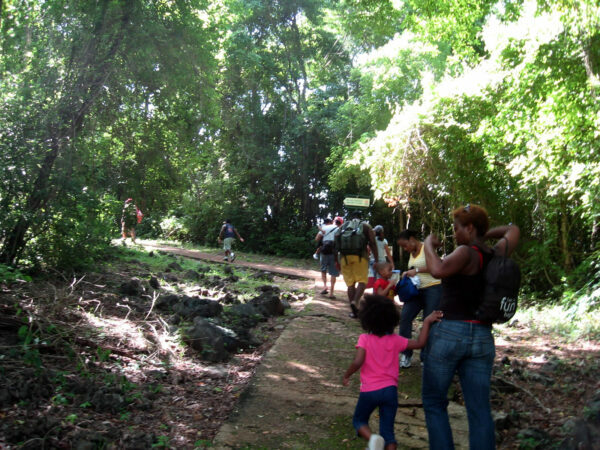 Along the way you will learn of the island’s human and natural history of the island. 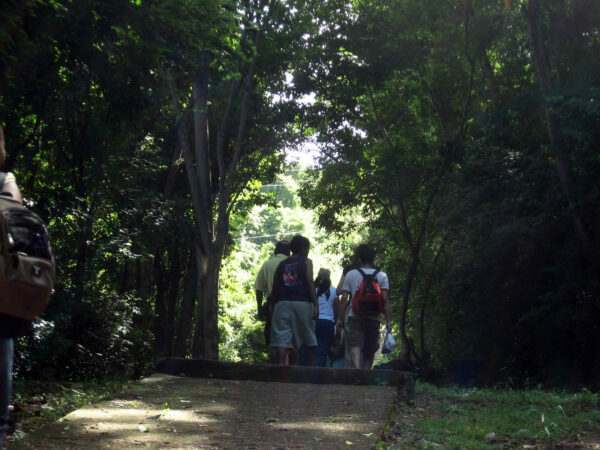 On this hike you will pass an old American World War II gunnery at the top of the hill. 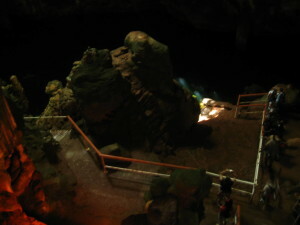 View from the top of the hill before entering the cave. 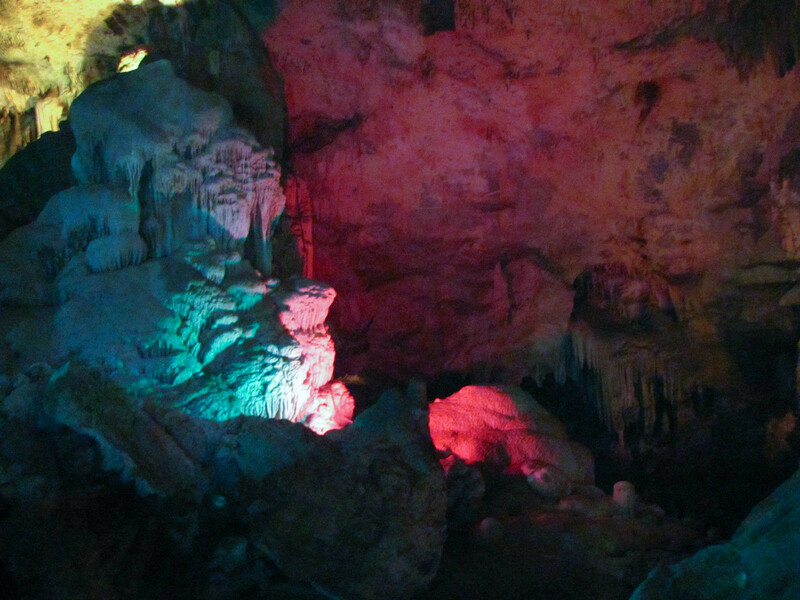 After a short rest, you will enter the cave from the top, and descend a well-lit metal staircase which leads to the extraordinary cave system 100 feet below that is filled with stalactites and stalagmites, sinkholes and a crystal pool that shimmers like glass, reflecting the colours of the light that filters through the cave. 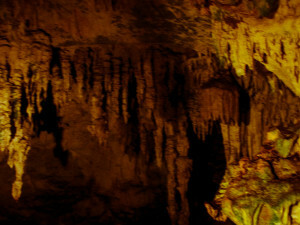 Here the cave formations are the best in Trinidad and Tobago with some shaped like dinosaurs and others like angels. 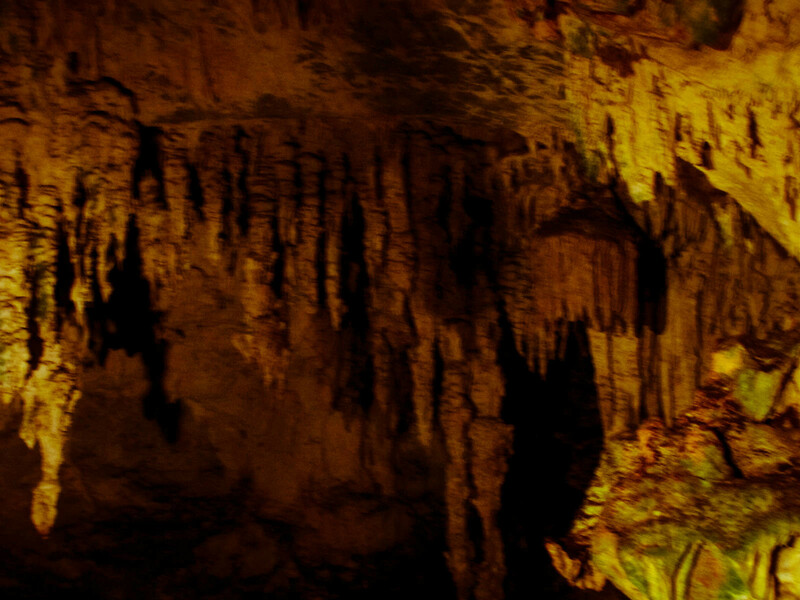 You will spend up to one hour in the cave. 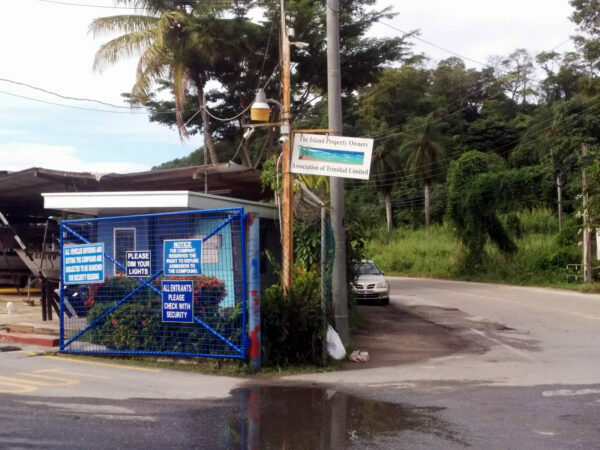 If you are driving your own vehicle, a parking fee of TT$35 per vehicle is payable to Island Property Owners association on the day of the tour. Shoes and clothes – Please wear light flexible clothing – Yoga Pants, Track Pants, ¾ length short pants. T-shirts etc. 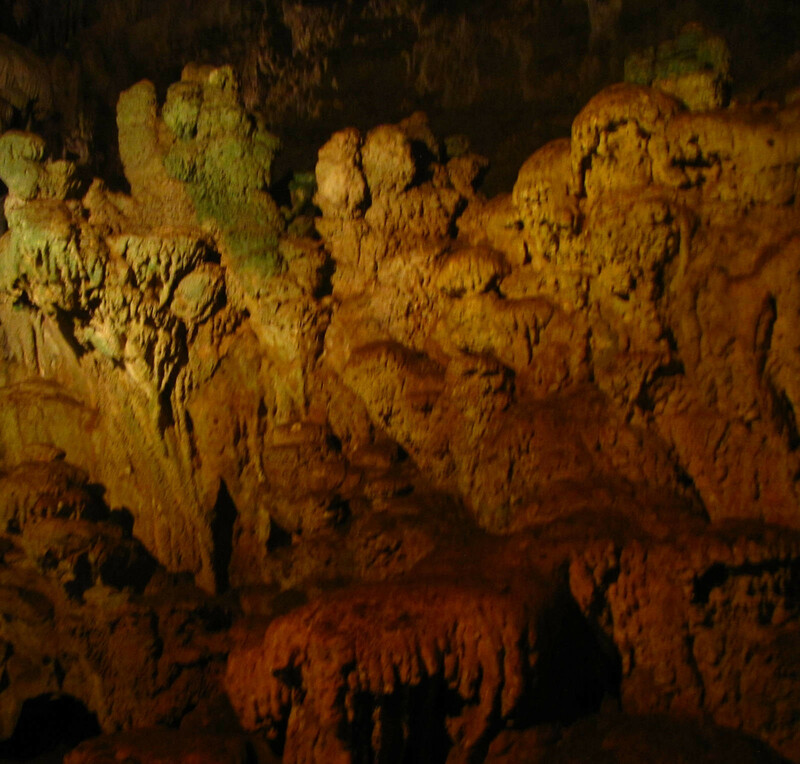 Because of the hike and the descent into the cave on stairs, please wear sneakers and other comfortable footwear that fit snug on your feet. Avoid flip flops and other footwear that can come off easily. Protection – Sunscreen and insect repellent are advised. 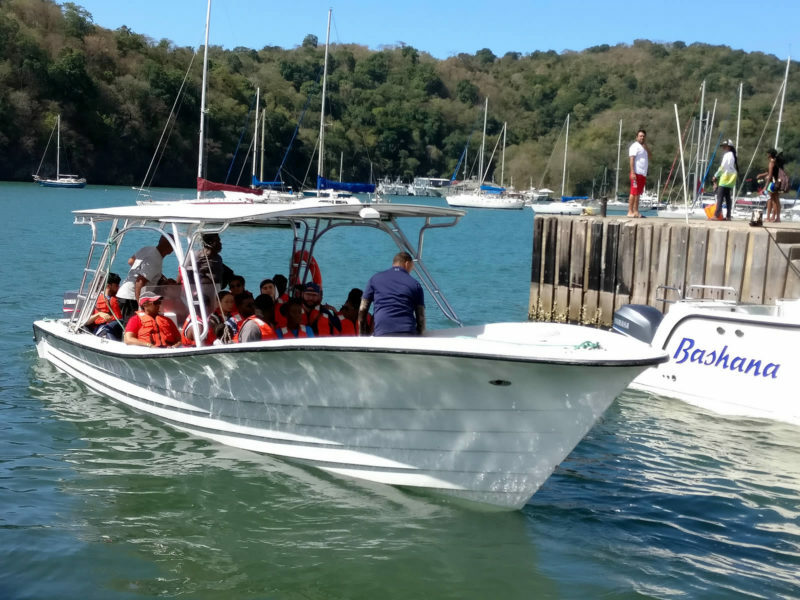 Kids are encouraged to join this tour. Please see special notes below. 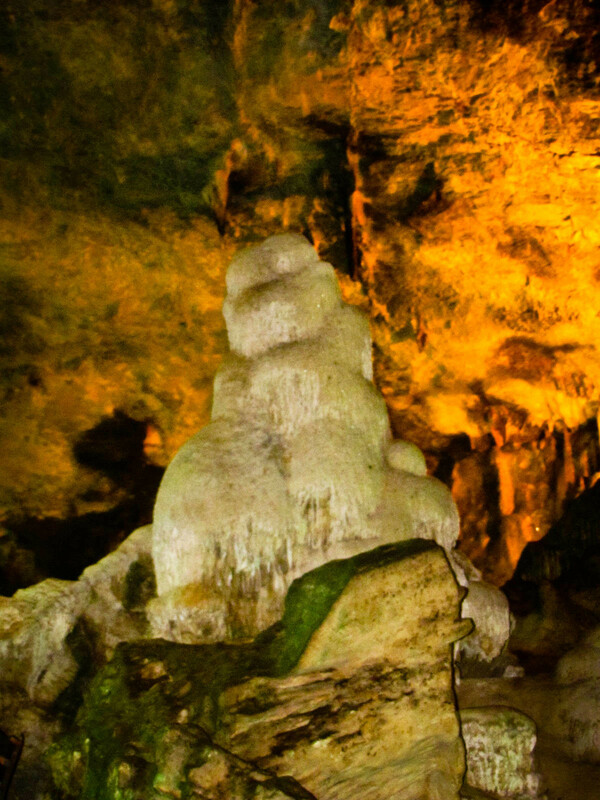 Please note that the tour includes a 25 minute uphill hike. Groups including infants, small children and persons with mobility issues should note carefully and make appropriate arrangements for these persons. 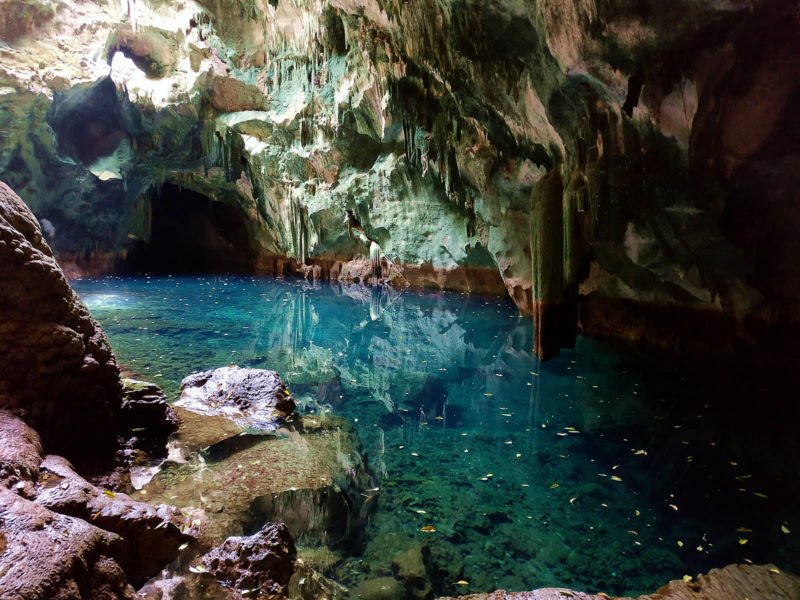 No Swimming – The owners of the Gasparee Caves have advised that no swimming will be allowed in the cave for safety reasons. In order to confirm your attendance you must click the Book Now button and complete the form. You must provide accurate information on names and numbers of people attending, a cell contact and an emergency phone number of someone not attending the event. Once you are confirmed it is understood that you are subject to the Cancellation Policy below. Cancellations made longer than 72 hours prior to the event have no charge.